With a RTP of 95.48%, Jewel Twist slots is worth a try! Packed with gems and precious stones, this game will steal your brave heart. 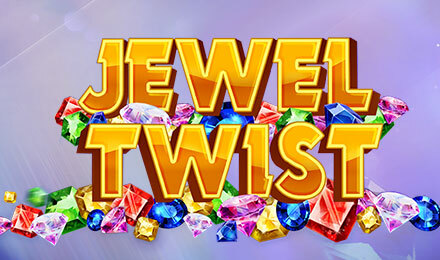 Jewel Twist slots is all about shiny gems and expensive precious stones. Created by Blue Print, this gem themed slot game is made of 10 paylines. As soon as you start this game, you will see precious stones like rubies, topaz, citrine, diamonds and emeralds rolling on the reels. To win on this game, you simply have to align two or more matching symbols on any active payline, and the trick’s done! For more potential winnings, symbols are stacked on the reels as well. Play this game now and let your eyes be pleased with the lovely backdrop.